Name changed for reasons that will become apparent later on. Now the original idea was to combine any fantasy setting that included cold north spaces, Tamriel, Westeros, Britain, or Azeroth, wonderful in principle, but coming to sit and think about it… I was scuppered. So thank you Alan for A: giving me the idea, and B: bringing his own Jenga tower with him, so that we could have a tournament. It’s wall building, we seem to like walls to stop encroaching peoples from marching south, and there’s a rather ominous metaphor to the whole thing I rather like. Anyway, to the photo gallery. Back to where it all began, if only for a little while. A few casual games of Love Letter over coffee and cake… which may or may not have been breakfast. The warmth that makes the Coffeehouse unsuitable for a summer meet (although for a quick brew it’s pretty good) makes it an absolute blessing in this chill. Cal arrived with gifts! Sample stickers for the purposes of shameless branding and for selling on to you in the name of supporting the Meets, the prizes, and materials thereof. The first sticker adorned the Resolutions Box, more on that later. Werewolf, chair stacking, Tsuro, cards against humanity, kingdomino, tides of madness… other games that I wasn’t really paying attention to because I was busy talking to people. We had a lot of new faces, and a lot of people who have become regular attendees that now feel like they’ve been with us forever. As we fast approach our second anniversary, it’s nice to see the mixture of old hands and fresh victims… people… people victims. And we’ve brought back the Resolutions box! When I bust open last year’s efforts (most of failed to uphold our promises, myself included) a lot of people took a keen interest, and were pretty swift to enter into a cruel bargain with me this year… pinning their hopes onto a card, sealing it away, and placing their name upon the box, entrusting their very future to me, making me guardian, arbiter, and judge. Sixteen competitors, sixteen games, tension, dirty tactics, heart failure, and a tie breaker that I don’t think we’ll ever forget. Would we have it any other way? Could we? For once, maybe have a competition that people can just enjoy instead of the genuine concern for our respective health? It’s not a quiz, dammit, it’s just Jenga. Here I thought it would be a nice and relaxing evening of good natured fun, only tangentially related to the theme of keeping frost zombies from marching south, or romans from getting too far north. During the quarter finals we saw something I had never thought possible, a tie in Jenga, that could only be resolved by adding a second game on top of the tower! Congratulations Matt on second place, Hannah for the tense fight for third, and finally to Zach for demonstrating dexterity and steady nerves enough to reach first place. The lesson, should we ever find ourselves in a tie break scenario, chairs are the answer, but we shall always do our utmost to prevent it. Thank you to everyone who came. 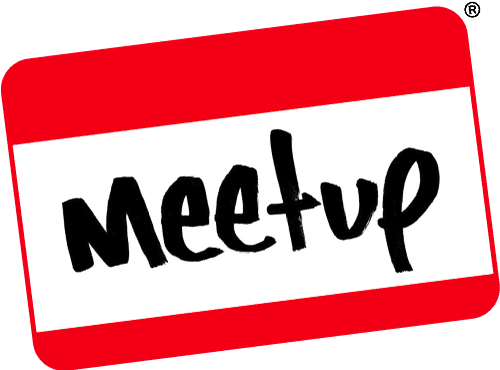 Next month’s meet: February 28th, Meme Your Own Adventure, details on Facebook and Meetup soon. Expect the worst, and you won’t be disappointed.